If you’re looking for special moves and advanced techniques that will add an edge to your poker sessions, set-mining is one of the best options to begin with. Learning this technique is very easy and the payoff can be tremendous if you use it right. Set-mining is suitable for cashing in on no-limit Texas holdem, since it will dismiss a lot of guesswork and improve your post-flop focus, effectively improving your odds of winning. Read through this article to learn all about set-mining poker, and how to best play a low pocket pair. Knowing this information will quickly improve your game; once you start implementing these techniques you’ll find that playing poker will be so much more satisfying and lucrative. In simple terms, set-mining involves waiting until you’re dealt low-to-medium pocket pairs (seven or lower), then focusing only on flopping three of a kind. You wait until you’re dealt a pocket pair, then call a small raise before the flop to get the ball rolling. Your implied odds of mining a set are one to eight; by focusing on these odds and watching the game closely, you will surprise everyone by routinely winning even against two-pair hands and strong stop-pair combos. Set-mining works great on any Texas holdem game or tournament involving deep stacks, but it will produce best results when used in cash games because the stacks tend to grow deeper, especially when wild players are involved. It’s crucial to set mine only when you have deep stacks, because your implied odds of flopping a set of three over your pocket pair are about one eight. This also means that to actually profit from a set-mining technique on the long-run, you have to aim for pots with eight times the amount of ash you have to spend to call. 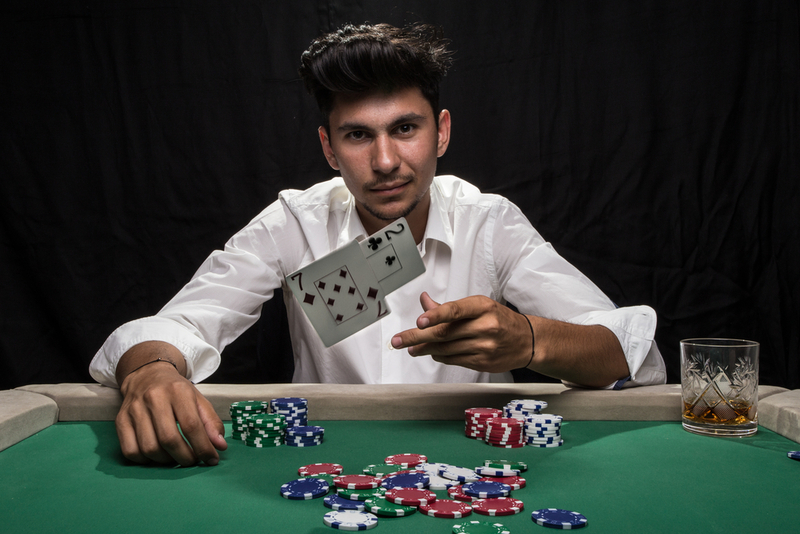 When you find yourself in a game that plays out according to the three steps above, you’ll be well positioned to win, especially if the flop or turn reveals the third card you need to make a set. At this point, you should have realized how this technique calls for a bit of patience and positioning, as you have to wait for the right time to act. When you’re dealt a small-to-medium pocket pair, just watch for early opening raises and call pre-flop; hold this position until the flop and you’ll manage very accurate and profitable decisions post-flop. Make sure you’re deep-stacked: there is no point in set mining a low pocket pair unless you have deep stacks, since this technique involves spending some money to call the bets. Remember, your odds of flopping a set are about 1/8, so you have to gauge both your stacks and the final pot carefully, to make sure you stay above the water on the long run. Focus on identifying aggressive or loose opponents: since you need to secure big pots to actually profit from set mining, you must watch for the wilder kind of players who tend to put money into the pot aggressively or loosely. These are the types of players that will help you build up a profit, so watch closely and patiently for such behavior patterns. Hold on tightly to your position: You’ll make the best possible judgements when you’re most informed. Whenever possible, you should suspend your final decision until the other players make theirs. Focus only on securing a proper position and wait until the right moment to strike. This is how you manage to turn the odds in your favor and win the biggest pots.